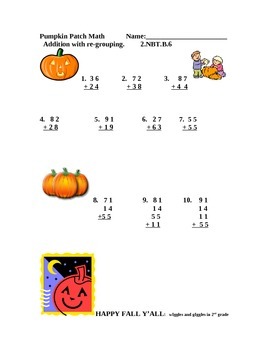 This is a festive worksheet on two digit addition with re-grouping. It starts out with 2 two digit numbers and build up to 4 two digit numbers. It has Jack-O-Lanterns as well as pumpkins.